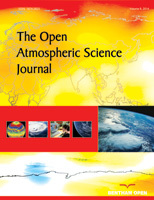 Atmospheric Science Section, Oceanography Division, Atmospheric and Ocean Sciences Group, National Remote Sensing Center, Hyderabad-500625, India. Land-surface processes are one of the important drivers for weather and climate systems over the tropics. Realistic representation of land surface processes in mesoscale models over the region will help accurate simulation of numerical forecasts. The present study examines the influence of Land Use/ Land Cover Change (LULC) on the forecasting of cyclone intensity and track prediction using Mesoscale Model (MM5). Gridded land use/land cover data set over the Indian region compatible with the MM5 model were generated from Indian Remote Sensing Satellite (IRS-P6) Advanced Wide Field Sensor (AWiFS) for the year 2007-2008. A case study of simulation of ‘Aila’ cyclone has been considered to see the impact of these two sets of LULC data with the use of MM5 model. Results of the study indicated that incorporation of current land use/land cover data sets in mesoscale model provides better forecasting of cyclonic track.